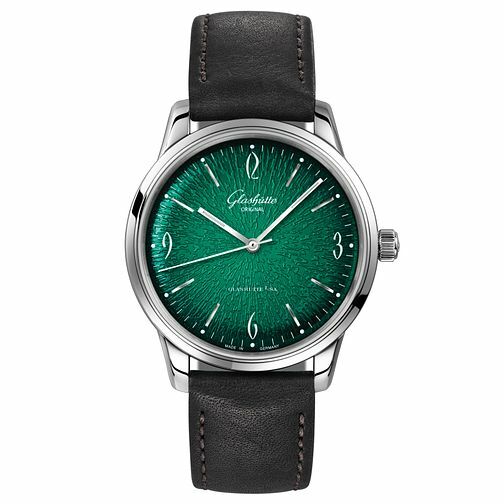 This trendy timepiece transports you back to the 1960s, with a fashionable green dial complete with an imprint pattern and dégradé effect, this watch features white numerals and silver tone indices for the hour markings, with co-ordinating linear hands. A sturdy stainless steel case is complete upon a classic black leather strap. Cool, casual and classic, this watch is water resistant up to 30 metres.